I’ve been involved with photography for 20 years. I have dabbled in landscape, architectural, portraiture and wildlife and nature photography. I’m now an Author! 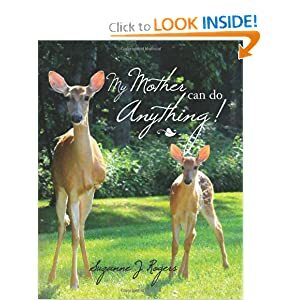 My first book is titled, “My Mother Can Do Anything!”. This is the story of a three legged deer who visited our property for eight years. it’s ok to just be who he is. He learns that others appreciate his unique “Bob” qualities. Thanks for visiting my blog featuring, most often, the visitors that come to our home. Hey ! 🙂 You have a wonderful blog here. Love your photography ! I love animals and I love your awesome photos. My therapy dog and I are a Reading Education Assistance Dog team (READ ) and I am going to add your books to our library. Will follow you with delight. Thank you very much for following my blog. I am so happy to have discovered yours, and look forward to visit again. Thanks so much! I love my visiting characters and I’m so glad you enjoy them! Welcome!! I’m so glad you like the blog!! I would love to find some rabbits to photograph…this spring I will go looking!! Sorry to see you go. Hope that it is for a good reason and wishing to see you back soon! Look for me in the future….it’s a difficult reason for now…It will fix itself and then I’ll be back. Hi there, I’m feeling chipper and chirpy and I just wanted to let you know that I’ve nominated you for a Blog of the Year 2013 Award. My post will be published this evening at around 6.00pm Australian Time. Congratulations to you for a creating a truly Wonderful Blog. i just love it. Referring to “My Mother Can Do Anything”. I’ve been following your beautiful blog for months, today I noticed that my only comments on your blog (about popcorn) have never been confirmed. They were simple words just to share my personal experience with you. Can’t figure out why, I will appreciate it if you let me know the reason. I can’t seem to leave a comment on any of your other posts??? I see there are many comments left by others, so I know it’s possible. Is it me? 😉 I wanted to tell you that I loved the way you described our country in your 4th of July post. That was beautiful, and we need to hear more stuff like that in this world! Thank you and Hello! I learned a lot from your post about copyright infringement…I went back to putting my entire name across certain images…Thank you! Would you mind letting me know the name of a few posts you couldn’t comment on? WordPress wants to know…I’ve had others let me know that they couldn’t comment. I couldn’t make comments on any of your posts except the about page. I scrolled through so many times thinking I was crazy. I’ll try again and send a screen shot to you if that will help. Glad that post helped! Good idea to protect your content. Thank you for letting me know! I’m going to inform WordPress…Weird that you could comment all of a sudden! Hi Suzanne! Just wanted you to know that for some reason, I can’t find the comment box on any of your recent posts. I know they must exist–people are commenting. I scroll to the bottom as always, but there is no place for me to enter a comment. Frustrating! So happy to have found your blog! Your photos are just amazing and I’m looking forward to visiting here often! from you and I appreciate it very much. I LOVE to hear that it makes people smile! Hey there Suzanne, this is just to let you know I’ve mentioned you for the The Epically Awesome Award of Epic Awesomeness! (This, of course, requires NO ACTION on your part. Which kinda makes it EPIC.) I wanted to mention you, because you deserve it, though you’ve probably received it a thousand times – at least! Thanks for being so Epically Awesome! You know what? I had quite putting up awards..but because you’re YOU, I’m putting this one up!!! Thank you SO much! Woohoo! I’ve been meaning to post this for DAYS, but I’ve been flat-out with an EPIC flu all week (since Sunday). This is like my first day out of bed. Such beauty that you capture with your camera! I really love the Cardinals…and any friend of Lorna’s is a friend of mine. You are both lovely ladies! Thanks so much…Lorna is a special lady! She is that, and no doubt you are as well. We are known by the company we keep! Pleased to meet you, Ms. Suzanne! ‘my deer’! I’m not getting fresh with you 🙂 I meant, ‘by deer’. I am now following your beautiful blog – thank you for following mine and introducing me to yours! Hi Suzanne, Love your nature shots and blog! Thank you for following me. Your book sounds like an good one. Do you have a link to where it can be purchased? PS: The eyes of the innocent (of the fox) reminds me of a red fox I saw every morning when I walked across the fields to the school bus stop where I grew up in the mountains of Western North Carolina. So happy to have found it! I found it through Lorna!! Just posted, so check it out! Awwwww.Thanks! Bob is special! So glad that you’re getting regular visitors! What kind of visitors? It’s fascinating – and such a challenge, they’ve got a sixth sense and such extraordinary agility they’re almost impossible to catch if you don’t register that they’ve decided to disappear! So interesting :)…May I ask what country you’re in? So very nice to “meet” you – you’ve got such a great eye- it was a pleasure to stumble onto your site this afternoon. Thank you SO much! I’m really glad that you stopped by! I’m just really flattered! You are a sweetie! I just came from your Website and it’s marvelous. So I’m following your blog … Many thanks for sharing. Would it be too forward of me to confess that I have fallen in love at first sight, with you and your blog? Your photography stuns me, I love the way you capture the character and emotion of everything from a bird in flight to vast, stillness. I will return, repeatedly. Thank you for being you! OH, OH, OH!!!! WOW!! Thank you so much for all of the compliments!! So glad that you found me and I’ll look forward to your visits! I am SO honored that you felt comprlled to hit “follow” ! Thanks for dropping by my blog, which led me back to you! Delightful, fun, engaging blog! I am looking forward to future posts. Yay!! Sorry to be so slow in responding!! Need to adjust my settings, I don’t always catch some comments….SO glad that you liked the book!!!!!! Thank YOU so much!! Hi!! So glad that you found me too!! LOL! I’m happy that you enjoyed the silly antics of Baldy and Philippe. 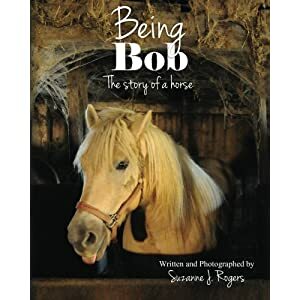 I have to ask, the book on “Mama”?, or the upcoming book on “Bob”? 🙂 Again, glad that you’re here! Hi Suzanne! You’ve just been given the Heart on Fire Award (no picture that I know of) because of your perfectly creative and inspiring blog posts, photos and story lines. I love them all. If you choose to participate, just follow what I did on my post for today, 4/28. Be well and stay blessed. Thanks for letting me find you, great work! So glad that you’ve come by! As I said…I JUST LOVED THE BUBBLES!!! I found your Blog via H2o and am fascinated by your bird and small animal photos, they are outstanding. I have recently started to publish some of my photos via a blog and need feed back from professional photographers like yourself, I add a link in case you would like to have a look and give feed back. Thank you I am now following so I can see all new posts you make. Well Welcome!! �I’m so glad that you enjoy my work, I will come by and see what you’re up to! Hi Suzanne – not sure if you’ve been nobbled by this yet – I’ll understand if you’d rather not! hahahahaha,, I’ll check this out! awwwwwwww, Thanks! I’ll drop right over..Now, no borrowing my clothes today. I love your blog, that´s why I nominate you for the Versatile Blogger Award. awwwwwwww..Thank you Rosina..That’s so nice of you!! I will do my best to respond as soon as I can to this great compliment! I’m so glad that you enjoy the blog 🙂 I love all of my visitors, you really brighten my day! You’re welcome!! I’ll be back! thanks for the like! I think the post will resonate with many animal lovers! Your pictures are spectacular! Thank you for stopping by and leaving a comment on my blog. I really look forward to visiting your blog and getting info from someone that has been taking photos for so long. You have a wonderful talent. Have a wonderful day! Thank you so much…I’m glad you came by…you’re making me blush. A kindred spirit! I live on a farm in South Africa, and love the wildlife that I am able to share my time with. I am writing a book about my encounters, and loving it all! I look forward to reading more! Hi, just had to drop by and meet you. You’ve got a wonderful blog here. It’s great to meet YOU! I’m glad that you enjoy the blog.! Thank you for subscribing to my blog and i will do the same for you. Many of the images in fact almost all come from our woods,,but the horses are about 5 miles away…my home away from home. I promised my spouse that I’d spend less time on the computer i.e follow less blogs because it takes up all my time and I’m neglecting my duties as his partner, but I really like your blog – beautiful photos and stories of the animals who come calling – so I’ll be back. Hi There! I’m sure I found you when reading a blog that I follow, and you must have made an interesting comment…I can’t remember which blog at this time…but when someone intrigues me, I want to know more 🙂 I’m glad you came to visit! I know what you mean by spending a lot of time following the blogs…I’m trying to make sure that I have my fun and still get other things done…like starting to self-publish my second book! I should have started by now….so you’ve kind of helped get me kick-started! Thanks! Beautiful photos! Thanks for visiting my blog and “following” me. We have some woods behind our house – I get to see deer (but never a 3-legged one! ), squirrels, and once even a bear (eeek!). I hope somebody can give that poor bald-headed squirrel a nice warm hat to wear in all that snow! hats and sent them to me! In previous posts you can follow the progression of the first photo of this little squirrel. People from all over have commented and been curious as to how I will get the hat or hats on the squirrel, and I am getting very close to posting images of the process I along with my “assistants” are going through. I’m sure it will give you some laughs! Thanks for visiting my blog and let me know what you think of the whole squirrel-o-mentary. My name is Robin.I am 8 years old.I like the book My Mother can do Anything! do you know how the mother got one leg in the front? Hello Robin! It is so good to meet you! I’m glad that you liked the book! I think calling the bald headed squirrel “Baldy” is a pretty good idea!! I don’t know how “Mama” came to have only one front leg.. I think it’s possible that she was just born that way..I think now, that she was meant to be just the way she is so that she could show all of us humans that being different is o.k.. I think that she was also meant to show us that if we have a disability, or problems in our lives, we can work hard and have a good life anyway. She makes a lot of people happy and that is a good thing!! You take care Robin! I hope that we talk again! Hi! I’m so envious of your living so close to nature and am intrigued that you had a three-legged deer visiting you. Wonderful book idea and title. I’ll have to check it out. And oh yes, I don’t know how you found my blog, but thanks for subscribing. Er, I should have said following, not subscribing. And I just ordered your book for my grandkids. OH!!!!! Well Thank you so much! I hope that you enjoy the book! She was a wonderful part of my life and has turned out to be an inspiration to many! If you ever want a hardbound version, just let me know! So good to “meet” you! Hello, Suzanne – I don’t know how or where you found me, but I’m very glad you did…and I’m especially happy that you let me know you were there, visiting…because now I know you’re here, too. Ohhhh, that’s so nice of you!! I’m glad that you like my blog that much! I’m the same as you, I follow so many but I love them..it’s addictive! I look forward to following your adventures in life! Yes, it is addictive…and I do enjoy your blog very much. Thanks for stopping by and following my blog. I look forward to seeing your comments. Good luck with your blog – Your woodland photos are truly amazing. Makes me feel like I’m there! I’m so glad you felt like you were here! It’s a welcoming woods! Thanks for following my blog, good luck with yours and well done on the great animal photography (something I’m yet to master). I’ll try to keep posting things of interest and will come back to visit sometimes and see how you’re doing. Cheers, Richard. Thanks for stopping in!! See you in the blogosphere! Glad that you are back because your blog is fantastic! So, if you see a bunch of likes from a bird on a light post… that’s me! 🙂 I can’t wait for the new posts! Happy snapping and blogging! Thanks! Welcome! I’ll be watching for the bird on the light post! OH….MY…..GOSH…….Did I never respond to this???????????? Thanks for stopping by my blog (Inspired Vision)! When I saw that your avatar was a squirrel, I just had to check you out. 🙂 This winter I shot hundreds of photos of a squirrel who visited my second story apartment window every day. I posted a lot of them during Jan and Feb. Anyway, I love your avatar, and I’ve been roaming about your sits…love it, too…and will be back. 🙂 Have a great day. Hello! Thanks for stopping in and saying hi. See you soon! Suzanne – I ordered your book for my daugher (and myself!) and it came in the mail today. It’s wonderful! The photos are great – the “personalities” of each deer shine through. The story and the photos are put together so nicely. Mama’s story is amazing – and inspiring. Being a mother is hard work – I can’t imagine doing it on three legs. 🙂 Oh, my daughter really loves the book, too! Suzanne, this blog is just too interesting! Did the hat come and I missed it? I want our friend to self-publish a book of photographs which I have titled “The Cats of Istanbul”. Can you help? I know nothing about how to do this. I just ordered your book. I never noticed it before on the page! Thanks. Thank you so much for ordering the book! Once nia has gotten the book she ordered she can see if she likes the quality. If she does, than I can give her advice on how to self-publish..I think that is an awesome idea for a book! The hat has NOT come yet..:( Glad you found the book on the site,,but sounds like I need to find a way to make it more visible..Let me know what you think once you get it…love feedback! Hi suzanne, loved your wonderful series of animal images, especially the silly squirrel series..
PS. have you been to thedailygraff.com ? I think you can find few similarities there.. Thank you! I ‘ll check out the site ..Thank YOU!! Hello Suzanne. I love your images. You have ideas here that I haven’t seen before. I am wondering if it would be okay for me to use some as my desktop wallpaper on my home computer from time to time. My files are not available to others. I like having something beautiful and unusual at start-up. Thank you. Great! I’m going to start with the photo of the cardinals and the black bird flying in. My husband will see it on screen but we do not have a file sharing setup. You’re welcome, it’s a beautiful, beautiful image. Great photos! Thanks for popping over to my site and reading! Your pictures are sweet in my heart. You do have a peculiar charming eye, that is – a peculiar mind ! Oh you’re so nice! Thank you! Suzanne, thank you for stopping by my blog! Now, in turn, I am happy to find your blog and am looking forward to following your posts. I love the woods and I LOVE deer so I was excited to read about your book and have just ordered it! Congratulations on being published! A friend and I used to take three mile walks in our neighborhood most mornings and often would see a three-legged buck eyeing us from a woodsy lot. Looking forward to reading your book! Oh MY GOODNESS!! Well thank you! I hope that you enjoy it. Please let me know! If you ever want a hardbound version, just let me know.I’m the only one who can order those unfortunately….I’m SO excited! Oh Colline!! lol!! I still have to address the first one you nominated me for! But I will do it this week! You are SO KIND!!!! I am so happy that you enjoy the blog this much..Thank you!!! Nice to meet you Suzanne, and thanks for following my blog! You have a new follower, I love your blog and your photographs are awesome! It’s so nice to meet you! I look forward to following you. I really liked your blog. Pleased to meet you, Zannyro! I’m so glad that you found my blog, so I could come here and see your wonderful photography. i look forward to making more beautiful discoveries on your blog in the future. I’m glad you stopped in for a visit!! Thanks! Hi! Thanks for stopping by and following my blog. I hope you will enjoy it! I love your beautiful pictures and your kind heart. Animals are such a treasure. You might like the Colonialist. He’s an animal lover, too. I know I’ll love your blog! Thanks for the tip on the Colonialist, I’ll find him. Thank you for the compliments! I’m glad that you find the writing comfortable, I love to do it and so enjoy interacting with people like you! I always look forward to your blog…..so glad I found it! Thank you so much for stopping by my blog today and leaving such a nice comment. I am glad you did, otherwise I might not have known what a wonderful blog you have put together. Your photographs are charming, I love all of the creatures and you capture them so well. You are so talented! Alas, I am not a photographer, but I do enjoy taking pictures and sometimes telling a story. Thank you for stopping in! Telling a story is the best! THANK YOU SO MUCH!!! I’ll check your post! This is embarrassing, but how do I go about putting the versatile “gravatar” on my post? This is exciting! Thank you!!! O.K., one more plea for help…I really haven’t done much of this, which is now very obvious..How do I type in the blog sites so that when clicked on, people will be taken directly to their blog? You’ve been just great,,thank you! Hi, visit my blog from the beginning. A series of fabulous and amazing shots, I’m in the southern hemisphere and I like sites like yours. Wow you live in the most amazing place with all the wildlife, how lucky. Thanks for popping over to my blog and following I too shall follow your blog with interest. So glad I found you! Thanks for stopping by! So sorry I missed your comment..I do feel lucky to live where I do..There’s always something interesting happening…Love following your blog! Take care. for granted and I kick myself. It’s such a gift to have a “bubble” to view wildlife from.